Best known for skiing, Sun Valley, Idaho and the surrounding area also provides a multitude of other attractions. The Wood River Valley is filled with so many attractions and activities in addition to world class skiing. It's no wonder that Sun Valley Tourism is the mainstay of the local economy. Sun Valley Resort has the distinction of being America's first destination resort. In Sun Valley, you will find something wonderful to see and/or do each season of the year. At the cozy Elkhorn Resort, you will find all the amenities of the more famous location with fewer crowds. Elkhorn is secluded, yet accessible. This is a family friendly, fun and exciting place to enjoy a vacation. The Resort is a self-contained community with all types of entertainment, excellent lodging options, swimming pools, tennis courts, and a spa. The SNRA lies between two rugged mountain ranges, the White Cloud Mountain and part of the Boulder Mountains. The most noted feature in the Sawtooth Wilderness is that there are no motorized vehicles, no motors of any kind, no logging, no buildings, and absolutely no roads are allowed in the area. The Sawtooth National Recreation Area offers about 750 miles of trails where you’ll find breathtaking scenery. In addition, you will find the Craters of the Moon, with its strange moon-like landscapes, located just to the south. Bellevue, Hailey, and Ketchum all have city parks and recreation facilities geared to tons of outdoor activities. Even before it was a dream envisioned by Averill Harriman in 1936, Sun Valley and the surrounding area had an interesting history. The area boasts of many museums and exhibits chronicling the early days of the region. Relax in hot springs, explore Shoshone Ice Caves or take the self-guided nature trail through Silver Creek Preserve. 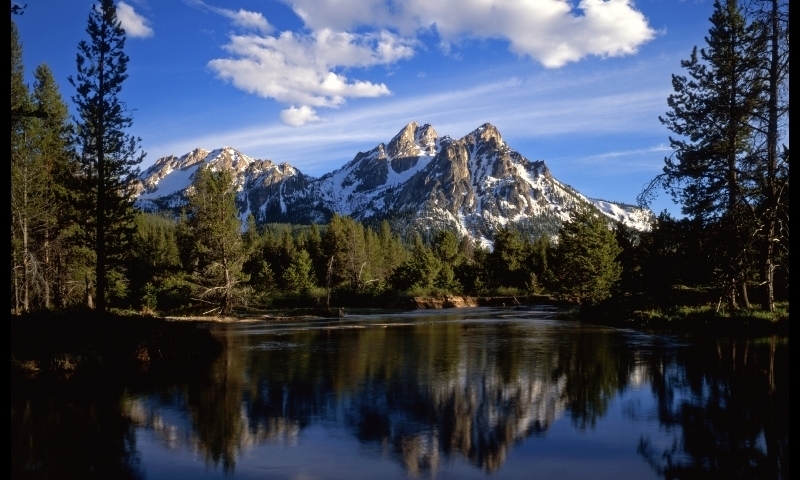 Visit the headwaters of the Salmon River in Sawtooth National Recreation Area. Each river and lake is so different from the other, whether you are fishing, rafting, or just boating around, you will not be disappointed by the great variety of places to have fun on the water. Sawtooth trails are wonderful for wildlife viewing, mountain biking and hiking. The Sawtooth Scenic Byway, one of Idaho's most renowned scenic drives, runs directly through Sun Valley, ID, linking Shoshone Falls all the way up to the Sawtooth National Recreation Area.